The top’s design allows first the right hand to come naturally in a good position, and then a well-balanced guitar related to the body. The shoulders line up easily with the hips. 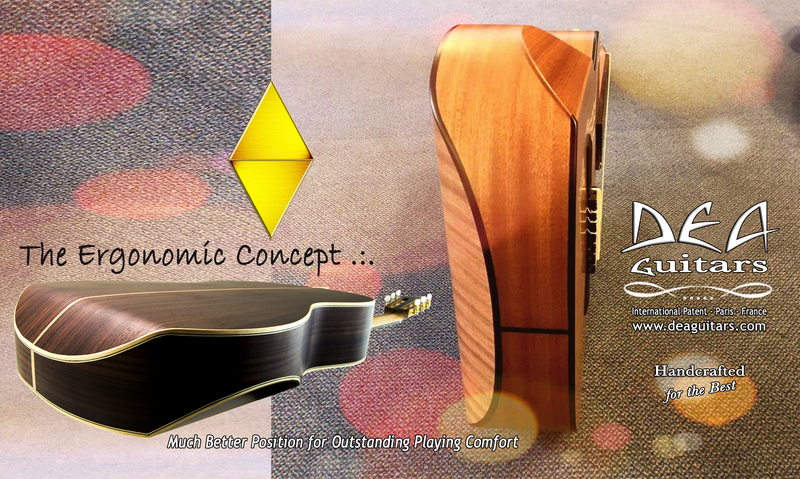 So you can hold and stabilize the guitar without hindering body and left arm movements. The back’s design makes the guitar naturally lean against the right side of the breast. The body therefore stays in its natural position, with no forward motion.